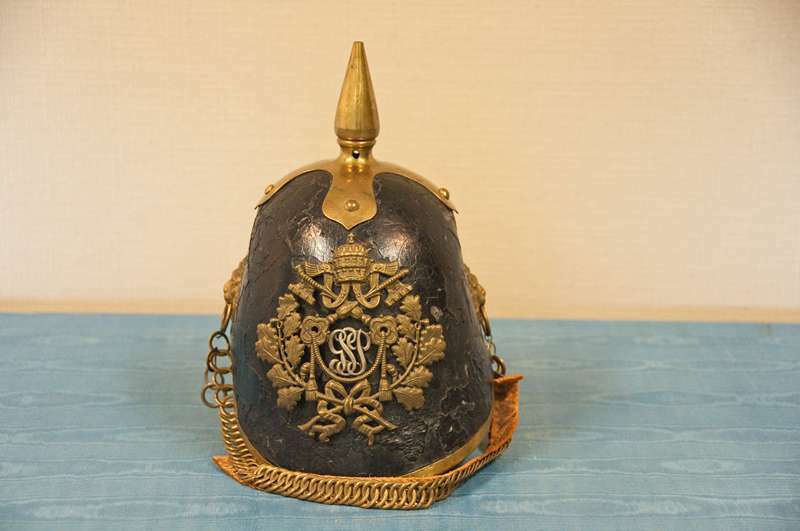 The helmet is a mid-to-early 19th century example with an ornate leather exterior and the GSP. The emblem contains the cross keys and tiara, the symbol of the pope. The chinstrap has two lions’ faces with their mouths holding the rings of the chinstrap. A metal cone on the top of the helmet holds the plume.